The Newer Retractable Screen Door System continues to gain market share daily. Our door system is engineered and manufactured to give optimal performance to the consumer. In today’s housing and remodeling boom, homeowners are moving away from standard “swing and sliding” screen doors in favor of the more contemporary stylish design of our screen system. 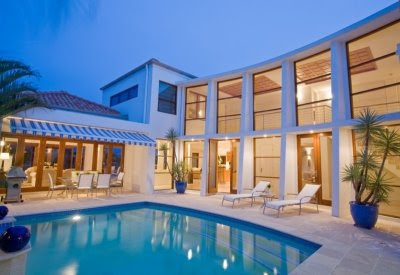 Industry analysts estimate that retractable screens will account for 50% of the global screen market by 2015. Sales of retractable screens are expected to overtake conventional screens within the next 10 years. If you are looking for Invisible Screen Doors for your french door, entry door, glass door, patio sliding door or swinging door, you should know some information about them before you make a decision to purchase a single Invisible door or a double set of Invisible screen doors. Here are some comments and testimonials from customers, that either already have Invisible screen doors or have had them in the past. “My existing double set of Invisible doors that I had installed on my french doors slam back really hard when I release them and let go of them” Louise D. Santa Monica, CA. “I have a single Invisible screen door installed on my front entry door and within a year it became hard to open and close it. the pull bar where the handle is attached would get jammed either on the top channel or the bottom one as I would open and close it” Greg S. West Hills, CA. “At my other house I use to have Invisible doors on my master bedroom and they would get jammed and wouldn’t roll back into the housing. It was really hard to roll the screen mesh back into housing, so I had to do it manually and it just became a headache” Margaret K. Beverly Hills, CA. Here are some comments and testimonials of customers that we have installed Invisible screen doors. “I love this newer Retractable screen doors, compared to the ones I used to have. It is so silent and soft!’ Louse D. Santa Monica, CA. “What a difference in performance these High End Invisible screen doors offer. They feel so soft when I grab the handle to open and close them, I am very happy with these!” Greg S. West Hills, Ca. I am really enjoying the 2 double sets of High End Invisible doors you installed on my 2 sets of french doors in my living room, when I release them they roll back softly! Margaret K. Beverly Hills, CA. I hope this helps you to understand a little more and helps you make a more informed decision. If you are looking for retractable screen doors, invisible screen door, door screens, door glass, screen door, entry door, fiberglass door, french door, glass doors, patio door, patio sliding door, screen door, security door, sliding door, sliding screens door, sliding patio door,window screen, window screens, wood door, wood doors, window door, garage door screen, glass screen door, swinging screen door, front screen door, security screen door, sliding security screen door or french screen doors we have them! The Invisible screen door is perfect for virtually all screen door applications. With the Invisible screen door extended, the flexible screen mesh door is held closed by a magnet. A gentle pull on the handle causes the disappearing screen door to retract entirely into the small housing, virtually disappearing when not in use. Invisible screen doors are unique because they can be mounted inside the door frame or on the surface of the interior or exterior molding. Stowaway invisible screen doors Were specifically designed for ease of use and durability. Custom cut to fit your need then installed by our specialist. Your just a phone call away from owning a beautiful Invisible screen door. 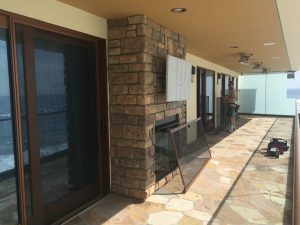 A Santa Monica Retractable Screen Doors Customer in Santa Monica recently asked us how exactly do invisible screen doors work? Where are the invisible screens installed? How do these type of screen doors operate. She said her neighbor in Pacific Palisades referred us. “She was very happy with the sliding screen patio doors and window screens you put together for her home with your mobile screen service”. Then she asked if we could go to her home in Santa Monica and build and install the invisible screen door right there and then on site. I told her that for us to install an invisible screen door first we would go to her house and show her the sample kit, color plates and different type of screen mesh she can choose from. 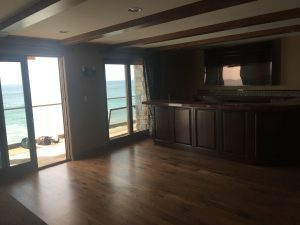 Once she saw the invisible screen she was going to purchase, we would first take measurement of her french doors, sliding doors and front entry door and then we would set up an installation date & time. Some of our customers still can’t imagine how invisible screen doors work until we go out to there home and physically show them. 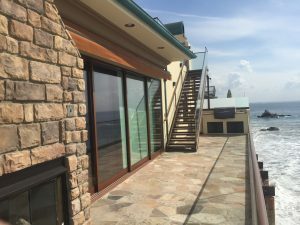 If you need invisible screen doors in Santa Monica, Pacific Palisades, Malibu, Bel Air, Beverly Hills, Brentwood, West Hollywood, Hollywood or the surrounding area. Call Us for a free in-house estimate! Take the time to call us and we will set up an appointment with you. We will go around your house with you and we will recommend what work needs to be done, only for what you really need and few different options. We will show you our samples, catalogs and brochures. I guarantee all my work. One of the major concerns customers have with invisible screen doors is the bottom sill and rail or channel that needs to be installed on top or added to your existing threshold. All invisible screen doors also known as retractable screen doors and disappearing screen door must have one. No matter what invisible screen door brand you choose to install. Phantom screens, Mirage retractable screen system, Screen solution, Larson retractable screen doors, Wizard retractable screen doors, Aira retractable screen doors, Genius retractable screen systems, Bella retractable screens, Alpine screens, Zanzar screens, Reel screens or ODL. They are all Invisible Screen Doors and whichever one you chose to purchase their installers will let you know which type you need. We intall Invisible Screens Doors. Retractable screen doors come with a top decolum/moulding and a top rail and for the bottom threshold a sill and a rail. The rails system is used to allow the pullbar to slide towards the door jam and back in to the housing without having to worry that the pullbar, also known as pushbar, will pop out. This is one of the problems with the channel system. The top decolum/moulding which has a nice decor style to it and is powdered coated is drilled to the top of the door jam then the top rail can be attttached, also drilled, this makes for a sturdy and durable application. Both decolum and rail are made from the finest quality. The bottom sill comes in differnt shapes and styles. The sill is drilled on top of your exsisting sill. There are different sills for different drops and contours on your exsisting door encasement. The bottom rail is attached (drilled) to the side of the sill, also drilled in. always, This is when, almost always, (9 out of 10) the customers ask “Am I going to trip over that”. All you have to do is take a look at the bottom part of your existing door jam and you’ll discover that you have been going over and steeping on very similar countour shapes. 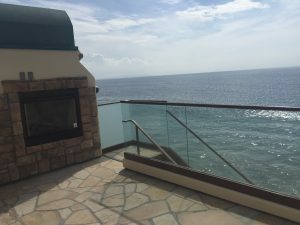 If you own a home in Beverly Hills, Bel Air , Brentwood, Malibu, Pacific Palisades, Santa Monica or Hollywood we have done many installations of Screen Doors and Retractable Screen Doors there. Many Contractors, Builders, Architects and Interior Designers have used a variety of screen doors and window screens to add to these style homes. Custom made Wood Doors require custom made Wood Screen Doors, custom made Invisible screen Doors, custom made Window Screens and Custom Made Sliding Screen Doors. If you are looking for a Screen Doors in a Beverly Hills that comes to your home and gives you a free estimate and shows you samples and brochures of our Screen Doors with a friendly smile you found it! Give us a call we specialize in Screen Doors, Window Screens and also Invisible Screen Doors. Do you need your Screen Doors doors installed on your entry door, french hinged patio door, sliding patio back door, storm door, front door, french doors, double doors, porch, balcony, sliding glass door, swinging door, aluminum encasement, wood frame, custom wood framing, garage door, custom fit doors with Invisible Screen Doors and all it’s modern advanced applications can be done, either on interior or exterior doors. No matter what window and door company installed your existing glass doors or replacement doors and windows we can help. 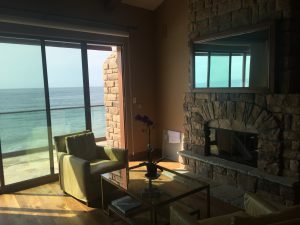 There are many good window and door companies out there some of the most popular ones are Andersen, American Vision, Pella, Milgard, JELD-WEN or Window World. Invisible Screen doors has many applications and can be installed in any one of these doors or any other door casement that you may have. Free Estimates and our professional mobile screen service installations for Screens in the Beverly Hills, CA. 90209, 90210, 90211, 90212, 90213 area. A customer in Beverly Hills called to tell us that he saw an elegant and Soft DoorsTM invisible screen door at his mother’s house that aroused his interest. He couldn’t remember the brand name, so I mentioned a few brand names and when I mentioned “Phantom” he stopped me and said “that’s the one”. He asked if we could go out to his home in Beverly Hills and show him a sample of our invisible screen door and give him a free in-house estimate and demonstration. He was very pleased with the screen doors and the price. I just love your Soft Doors TM quality Invisible screen doors, as opposed to the hard doors that slam back hard and after a while are hard to open and close. He ordered 3 double sets for his french doors. How tired are you of seeing your conventional sliding screen door just sitting there covering up the beautiful view of your back yard, or the valley or maybe the ocean view? How many times have you asked yourself “I wish my sliding screen door would just disappear”? or, “Why can’t my screen doors just be invisible when I don’t use them”? Well you don’t need to ask yourself that anymore, because today if you have just one sliding screen door or many in your home, you can replace them with our new “Invisible screen doors” called Slow Silent Screen System. These invisible screen doors (Soft Doors) are very elegant compared to what is out in the market. The market for Invisible screen doors has been stifled by a common defect, specifically the speed at which the systems retract (accelerates) into their housing. Until now, this has discouraged many customers with children and home builders concerned about contingent liabilities from installing the retractable door. The clearview invisible screen system addresses this safety issue head on and not only solves it but takes the quality of the invisible screen door to a higher level. It is the only invisible screen manufactured with the safety of the customer in mind. The entire system is built around the patented Safe Glide TM speed reduction component. Now you have a smooth, silent, stealthy and sleek retractable door you can feel safe with. Enjoy your beautiful “Phantom invisible screen doors” today! Call for a FREE estimate !